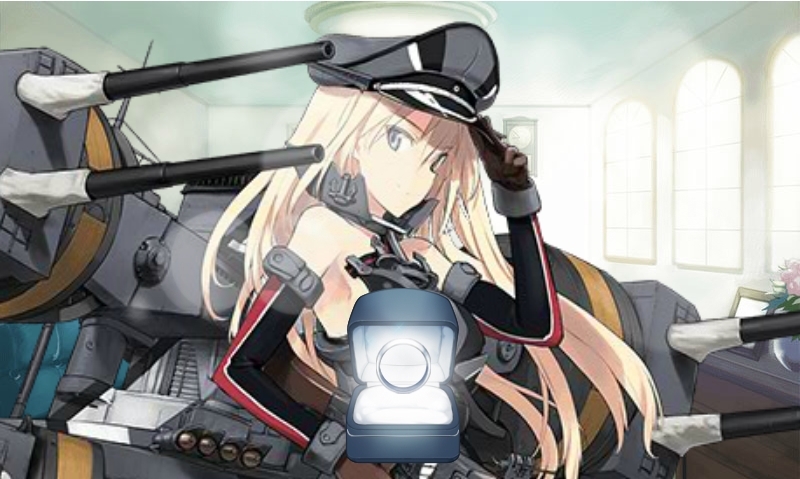 Now it’s time for me to boast with how I ringed Bismarck! YATTA! After jumping onto the KanColle web game after seeing both Yuudachi as a Demon ship, and even Bismarck, on Pixiv art I just had to play. This also being before the KanColle anime appeared, yet the anime itself is what kept forcing me into the game a year ago, and I’m glad it did. So much fun! Bismarck level 99! I guess this would be late news to those that follow me on Twitter, Tumblr, & Flickr, yet I can now happily post it on this blog while having both time and patience to do both. Bismarck has always caught my attention from the Pixiv art days (with Yuudachi as Kai Ni) that I just had to play KanColle web. Always pained me when I couldn’t when watching my Japanese comrades, as well as other Japanese players, play her on the field, even leveling her & etc. It makes me happy to have NATURALLY (sorting her when needed, yet not forcing it) leveled her to 99, as well as ringing her when the time came to even video it. As of April 11th I gained my proud German battleship, Bismarck! 10 attempts! I was so glad to have finally summoned Bismarck after much frustartion that I could sortie again. Level, do quests, and etc. 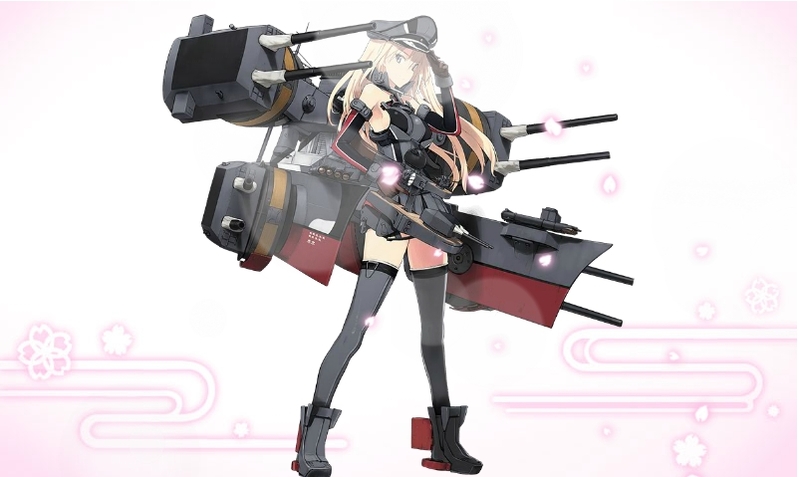 Having my proud German waifu in my fleet whom I could have hunt transports in 2-2 & 2-3 in “testing”. Getting to know her better, and etc. The main log containing Bismarck [here]. I’m always amused with how Bismarck joined me on every event, as with 2-5, and just general sorties. She’s done so well that she even requested blueprints for remodel, yet I was always short when having to also share with others, even recovering from an ISP greed issue. Bismarck has been such a great asset to my fleet that she even happily reached level 75 even before when I could gift her a blueprint. I had to struggle to get her a blueprint when short on medals that she sat there a bit, even with Littorio around around the October 2015 mark. My proud Bismarck gained ‘Drei’ status during the Winter 2015 event when trying to fish up Graf Zeppelin, in success with a Kai Ni’d Ashigara. Both happily summoned Graf Zeppelin, as with Prinz Eugen, Shoukaku, and even Roma. As of July 21st, 2016 I happily had Bismarck reach level 99 to then happily ring her shortly after. I had to get OBS reach to record the wedding ceremony for Youtube, even Twitter & Tumblr. It was such a glorious proud feeling moment. Finally having a wedded ship I could boast & feel pride in. 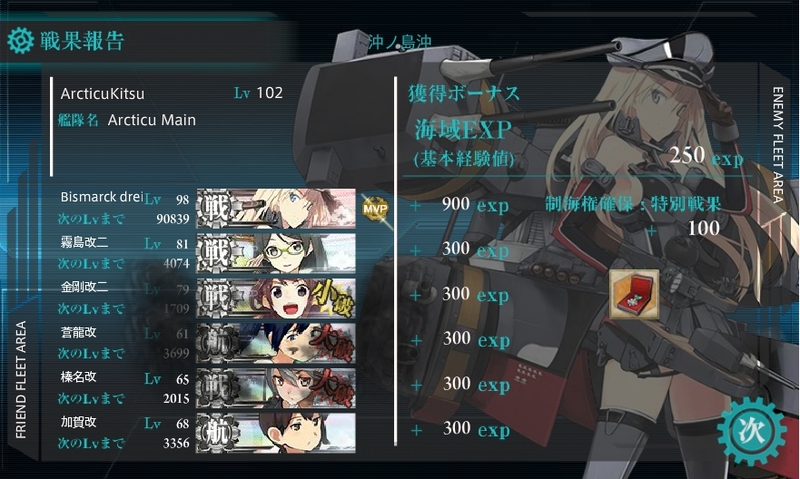 – Bismarck gaining lvl 98 status, and her final medal before reaching level 99 status from 2-5. – The Germans together to celebrate Bismarck’s special occasion. I however have to note regretting not having Z1 & Z3 present. Too late. – Ah! Such love! Love seeing the sakura pedals fall 5 cm per second around her that she appears all proud, as she should. I, of course, videod the whole wedding ceremony to make note of from a future perspective. Been wanting to do this for months, and finally managed to in hopes of recalling it from the future in nostalgia. Never know when KanColle might also follow ‘Busou Shinki – Battle Rondo MMO’ to the depths. 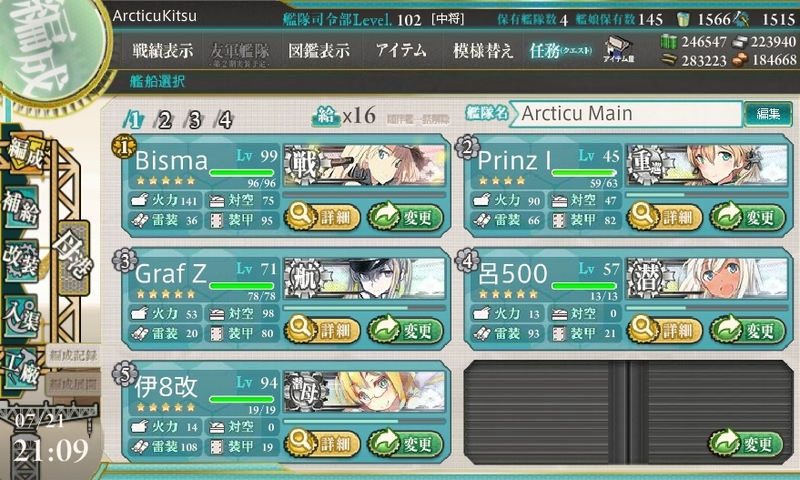 Glad I saved Renge’s videos, as with Bismarck’s precious moment. This makes me so damn happy to have Bismarck leveled to lvl 99, ringed to 100, and even now at level 115 (as of this article). Even gaining a lovely package from a trusty American comrade, as well as taking advantage of a Valentines update related feature from years ago. It’s all awesome! A lovely package celebrating my wedding with Bismarck! Yatta!~ And thanks! – Materia now happily sitting on Technohornist’s package. Always amused with the packaging, as with the notes within. This is something I wanted to share in the next article, yet shall post it here because it’s relating to the time I wedded Bismarck, even noting a frustrating of mine with WW2 naval game’s & variety. This is 99% Bismarck oriented though, and highly NSFW on that lovely tasteful note. Thanks to Technohornist for sending me gifts! Thanks for those notes also, and sorry I’m taking forever to send stuff back to you, Naito, and others. 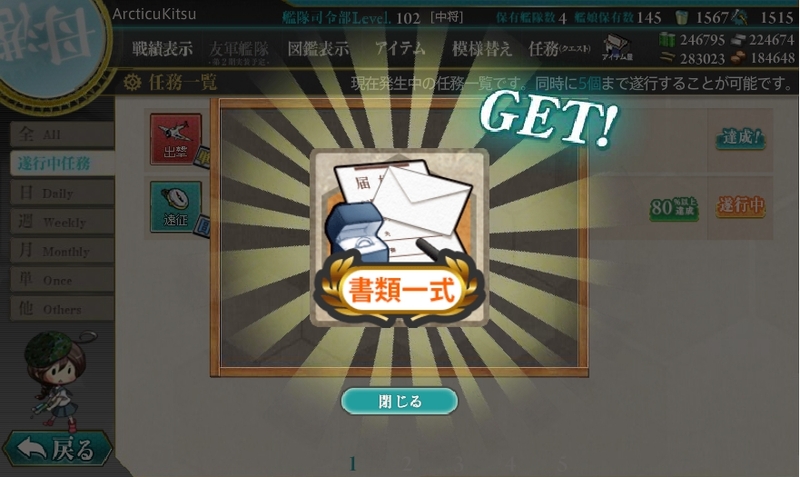 – Lovely German breasts (tasteful) as well as a celebratory note making note of Bismarck’s wedding & that I shall eventually see Haida in KanColle (but not in a tastefully perverted manner). – Less blurry if you’re curious about reading more. Many thanks, and now I have to send something back to Techno, as well as Naito, Ratbastard, and others. I need to stabilize my situation, yet being taxed dry into a zombie by the government isn’t helping. – Oh! That gorgeous swimsuit tease! Those German KanColle beauties drawn nicely, teasefully, that it gives you nosebleeds! That’s just page one. It gets quite steamy onward. 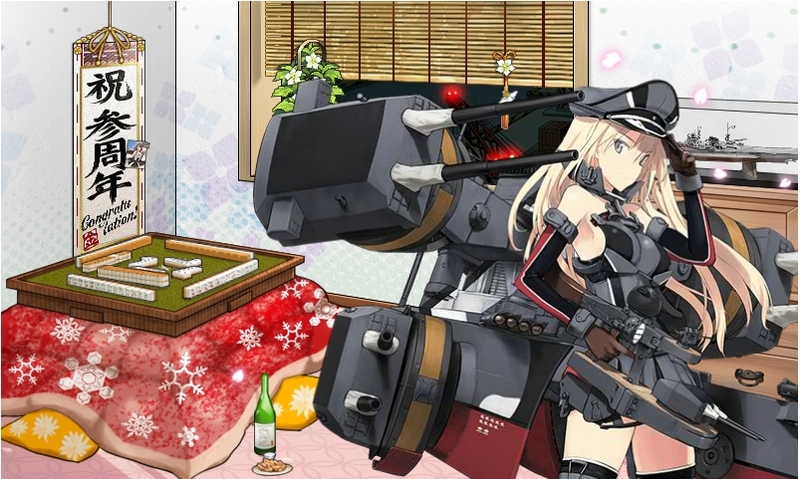 – The teasefully, visually pleasing German Kanmusu wanting to play. Such beauties & nice art. Well, I did want to share more yet frustrated I have to follow people’s “pampered” lifestyle that when you share too much NSFW that you come off as a creep, loner, and etc. Weird social mentality when it was perfectly fine to show exposed breasts back in 1990, and more so in free-minded Europe.Â I feel everything in 2016 feels fucked up with how everything has to be censored, thus me not minding sharing NSFW, yet trying to strike a teaseful balance. I enjoyed Anime uncensored back in early 2000 because it was natural, yet censoring something simply makes things more…..”jump scare” styled weak. Also, if you’re wondering…..No, I have not wanked off to neither Yuudachi’s, nor Bismarck’s doujin. Also, that would just ruin the doujin. On the bright side, this works as a nice tease that it makes you curious to track both the doujin down in both physical & digital copy, as well as something else relating to the author and such. Once again thankful to my comrade, and even proud Bismarck is my legit waifu in KanColle. Here’s a little teaser for something I shall post in in time, whenever it stops being hot, humid, and the like. This is also the reason why I posted this article in the first place. – Lovely Bismarck Drei arriving at my naval base. Glad to have her present 🙂 She came on Tuesday, August 30th, 2016 via Canada Post.